Steve and I are no strangers to a plant-based diet. Back home in Vancouver, some of our favourite restaurants are vegetarian! We love our fresh fruits and veggies, and enjoy seeing the creative ways we can enjoy food without meat. In London, we wanted to get a taste of what the vegetarian scene was like and see how it compares to back home. 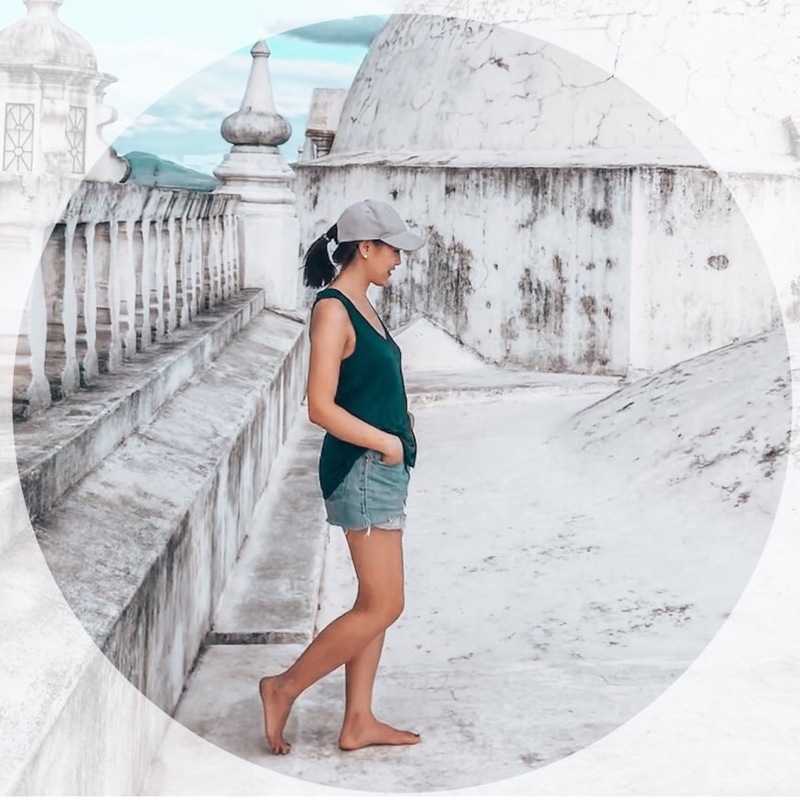 We signed up with The Vegan Food Tour, a European tour company which offers vegan food walking tours in Barcelona, Rome, Amsterdam, and London. 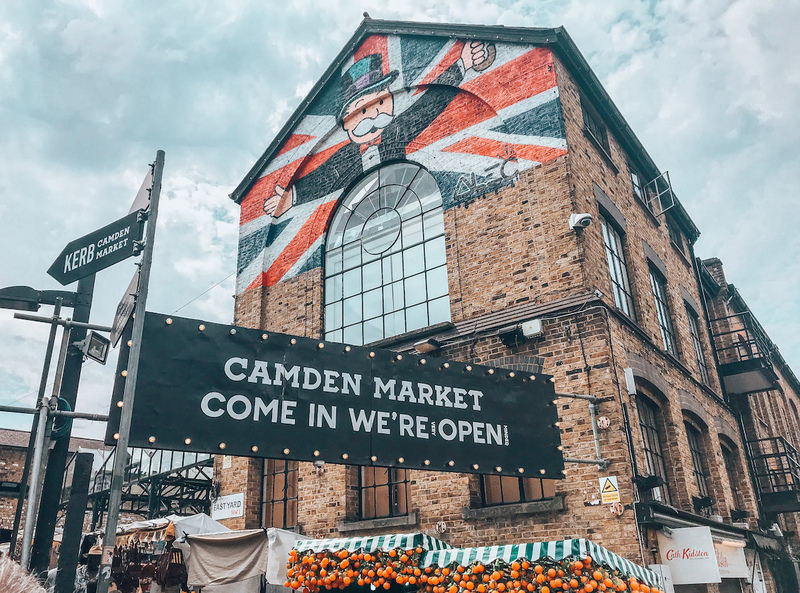 The newest experience offered by The Vegan Food Tour is a street food walking tour in London’s Camden Town neighbourhood, best known for its graffiti-filled streets, and food and artisan craft markets contained in refurbished horse stables. The tour guide, being a vegan herself, was very much in the know about the best places to eat and could give a personal opinion on her favourite food options. Our small group tour began at Camden Town tube station. Interesting to note that of the five guests on the tour, only one was actually vegan! It goes to show that you don’t have to be labeled as a vegan to enjoy a plant-based food tour. In fact, on the four stops we made on the Camden Town Vegan Food Tour, most of the dishes we sampled had plant-based meat alternatives like tofu or seitan, purposely used to mimic the texture of meat, while absorbing the flavours of the sauces around it. What The Pitta is a quick service vegan döner chain, serving plant-based versions of Turkish fast food favourites. The idea for What the Pitta came shortly after one of the founders shared that he had given up meat and dairy, and the other responded that his uncle makes the most amazing vegan döner out in Germany. They set off to learn the family tricks of the trade and brought the concept here to London. The pita bread is fresh made in house, the meat is soy, and the tzatiki (a staple on any döner kebab!) is made with soya yogurt. Despite being vegan, they were still nominated in the British Kebab Awards in 2017. What the Pitta now has three fast food locations in London. This was my favourite stop on the tour. 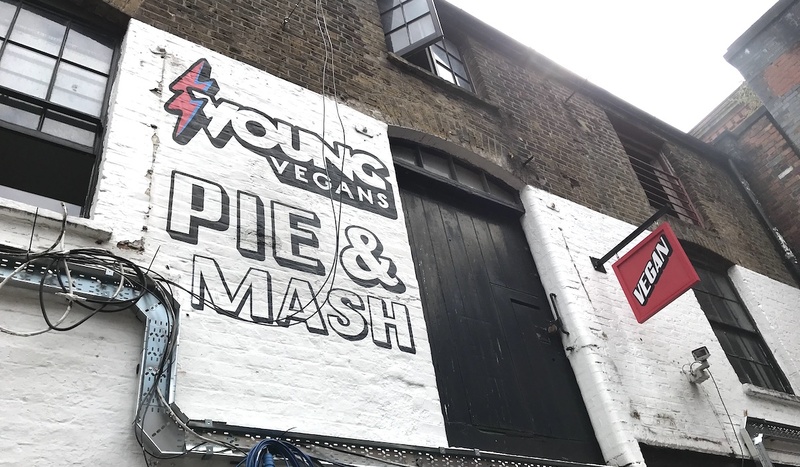 Young Vegans is London’s first-ever 100% vegan pie shop, taking a traditional British food and “veganizing” it. Their pie filling choices are unconventional, with flavours like chicken katsu and “all day breakfast” (beans, scrambled tofu, etc). We had the yam pie, which had a savoury gravy with small yam cubes and peas within the pie shell. 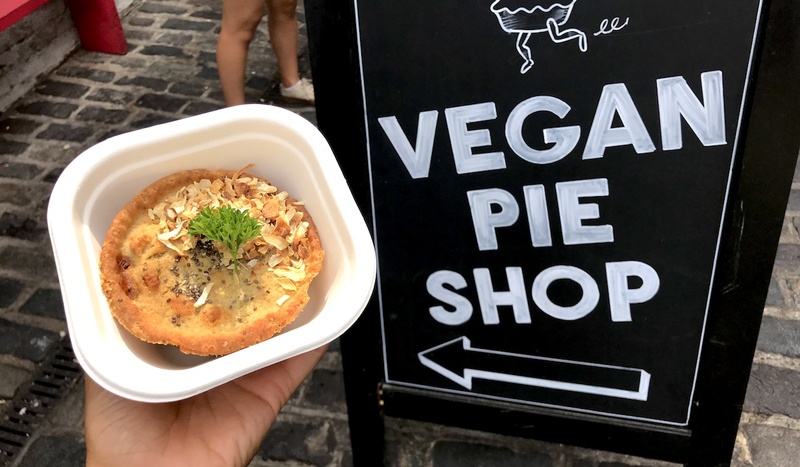 Young Vegans also operates an online shop where you can purchase frozen vegan pies delivered to your door in London — not something we would do as tourists, but certainly popular with London locals! Rudy’s is a plant-based diner serving American-style comfort food with seitan as the main meat alternative. Our group shared an order of the Buffalo Wingz, which had a texture like chicken nuggets. The wings themselves were good, but the flavour was so hot and spicy it overwhelmed the “chicken” and made it hard to appreciate the dish. I probably wouldn’t order this dish again (or would try it with a different sauce). 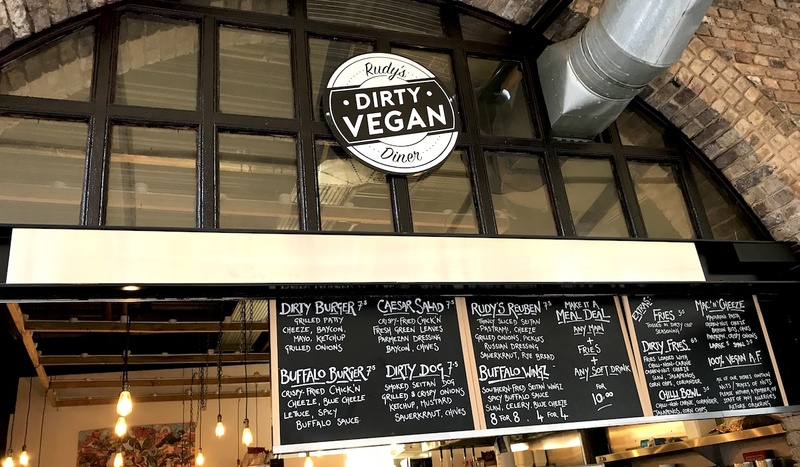 Rudy has several other vegan alternatives on their menu including: a Mac n Cheeze with a cashew nut based sauce, a Chili Bowl with “chili non-carne”, and a Dirty Dog made with smoked seitan. Pamban is a modern Sri Lanken and Indian Tea and Coffee house that’s known for their hand-brewed Masala Chai, made with cardamom, ginger and cinnamon and oat milk. 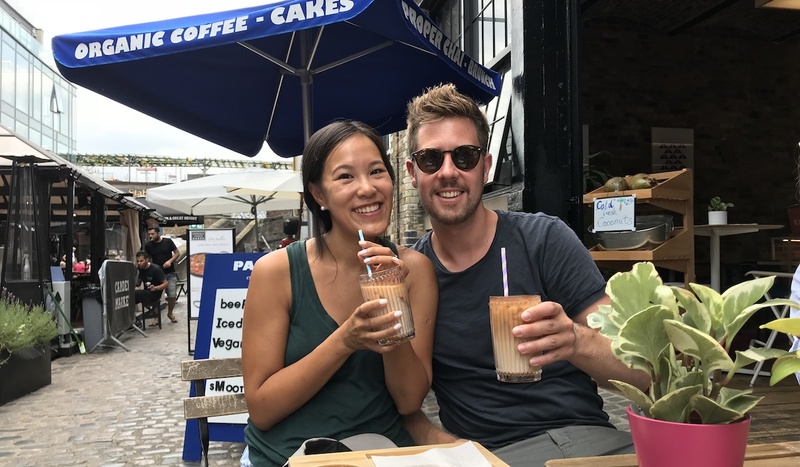 The cafe isn’t vegan-only, but it offers a delicious iced vegan chai which was the perfect refreshing drink for a hot summer day in London. 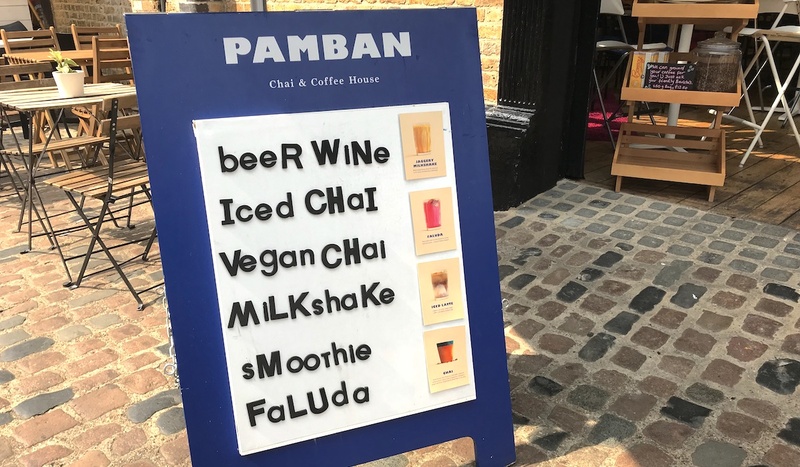 Unlike using almond or coconut milk which changes the flavour of the tea, Pamban uses a mild oat milk from Oatly, a Swedish brand which specializes only in oat-based vegan food and drink products. The Vegan Food Tour successfully shows its guests that vegan food is much more than carrot sticks and lettuce — although, I have to say, we really do like our fresh veggies and wish we had more of that on the tour. The general consensus of the tour was that we were all pleasantly surprised at how filling vegan food can be, and enjoyed trying the plant-based alternatives to common meat dishes. 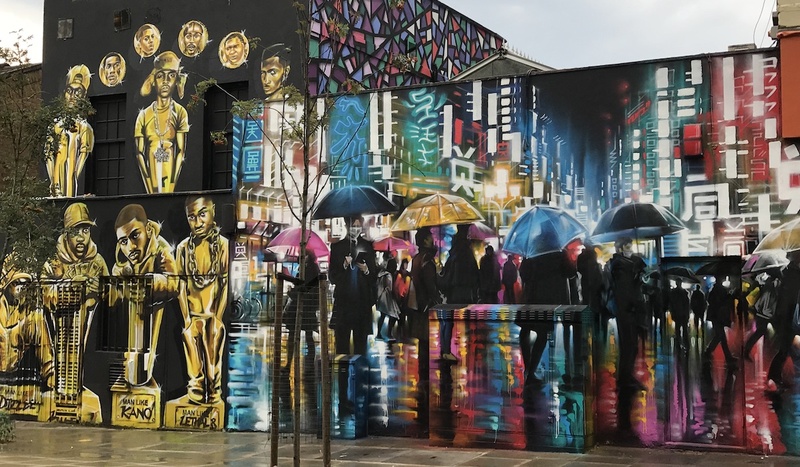 The group was also thrilled that The Vegan Food Tour brought us to the Camden neighbourhood — we spent the rest of the afternoon exploring yet another cool neighbourhood in London. For more information about The Vegan Food Tours, visit their website at: veganfoodtours.com. In London, they offer vegan food tours in both Camden and Shoreditch. Thank you to The Vegan Food Tours for hosting us on its Camden tour. As always, all opinions are our own on Modern Mix Travel.